Taumei “Big John” Akapo is a presence in Hawaii, not just in his physical stature, but in the commanding nature of his soulful blues voice and ringing guitar playing that have enthralled residents and visitors to the Islands for decades. With the release of his debut CD, Paradise Blues, from Mensch House Records, listeners from around the globe will get to experience what all the excitement is about. 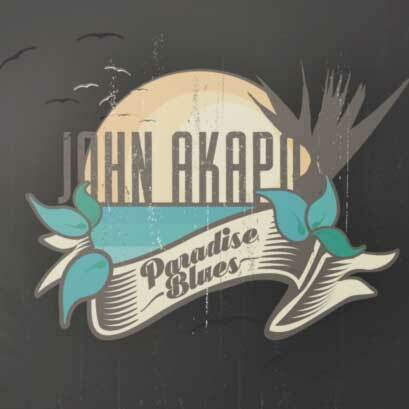 John Akapo is a nomad who followed the music from his early days as a kid growing up in Alaska, where he fell in love with the guitar, to his youth spent in American Samoa singing acapella and learning how to loop, John Akapo has been magnetically connected to a path of musical discovery. Recording his own original works, John began a professional career as a luau musician, bandleader, solo entertainer, and more recently, a hip-hop producer and vocalist for 13 years. When he sits down to write music, he always ends up with a blues song. “I think my music is like a tree rooted in traditional blues but sprinkled with Pacific salt water,” John explains.